I made these fun zippy bags for Patchwork and Maker Faire and wanted to share them here. These aren't a standard item that I stock and I only have a couple left, so if you're interested, head over to my Etsy to snag one while you can! Mini bags are available in red and yellow. 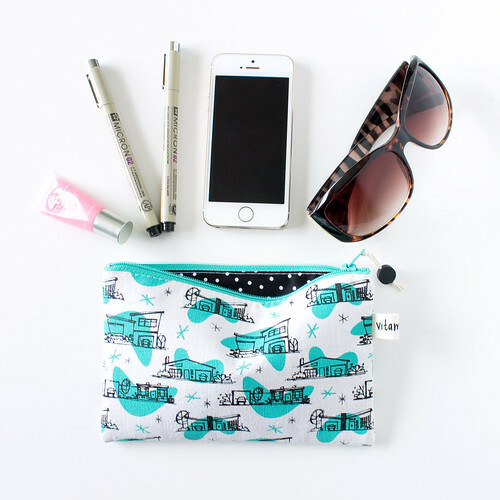 These bags featuring my Retro Ranch print are extra special because I screen printed the fabric myself! Available in a bright coral and teal. I've also been working on a few new designs. 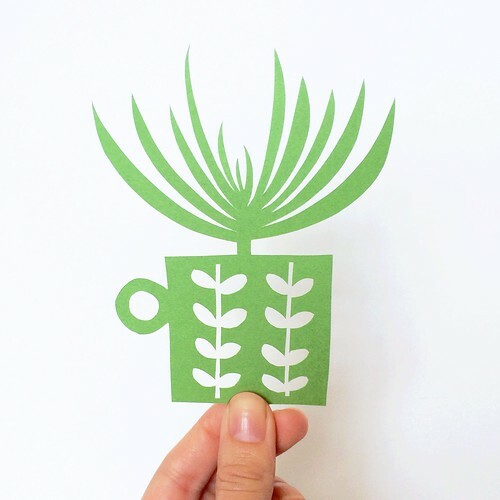 Here's a sneak peek at one: a new papercut based on my own succulent collection. Happy Friday to you! As if that wasn't enough of a reason to celebrate, today is National Donut Day! Treat yo'self. 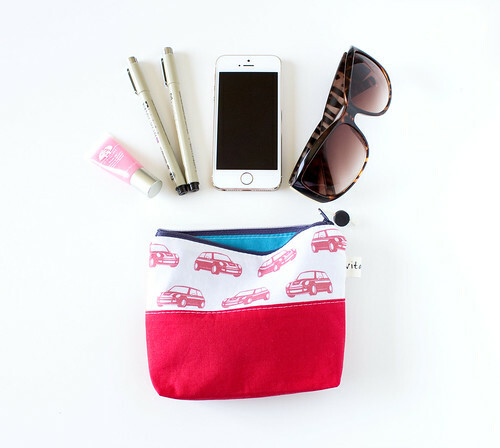 Love the polka dot peeking out of the Retro Ranch pouch! Can't wait to see all your new stuff!